Los Angeles in Four Days, Part IV - Universal Studios and the Wizarding World of Harry Potter! We spent our last day in Los Angeles at Universal Studios Hollywood - Julcsi's first and my second visit there. Originally, we'd been planning to go to Disneyland instead, but it quickly became clear that it's pretty much impossible to go there for just one day from L.A. without a car. Thus, we opted for the significantly more easily reachable Universal Studios (there's a direct metro line there from Hollywood). Universal Studios is an appealing choice for a day at a theme park because of its operating movie studio as well as the Wizarding World of Harry Potter. The entrance fee is pricey, though, and the queues are insanely long, so it makes sense to buy the tickets online in advance to get a small discount and skip the queues. Although, make sure the credit card you use and the person whose name you give as the contact person match - we didn't, and ended up having to queue anyway and needing to have our passports scanned and copied at the gate! We did get a fast track pass each to make up for the time lost in the queue, though. In my opinion, the absolute best thing about Universal Studios Hollywood is the studio tour! You sit in a carriage that drives around the back lot, showing you different stages and sets, and you also go through a couple of special effects rides. I think it's so interesting to see where different TV shows and films have actually been filmed! Famous cars from several different movies! Wisteria Lane from Desperate Housewives is like a ghost town these days. War of the Worlds set. I do have one complaint about Universal Studios Hollywood as a whole and it is that all the rides there are based on fear. No wonder so many people are not feeling well in this society when this is the only thing they're exposed to even during what is supposed to be a fun day at a theme park. I have to confess that I thoroughly hated the grand finale of the studio tour where you're in Fast & Furious, being chased and SHOT AT! It was a horrible, horrible experience that I wouldn't recommend to anyone. I mean WHY exactly is being shot at supposed to be fun?!? This same theme of fear is repeated in most of the amusement park rides, too - for example, the Harry Potter and the Forbidden Journey ride was absolutely appalling. You're pretty much flown through all the scary things from the books and films instead of seeing warm and fuzzy magical stuff. For example, Julcsi suffers from severe arachnophobia, yet there was no warning of the many massive spiders that are basically right in front of your face during the ride. Julcsi was so afraid and I had to shout at her to let her know until when she needed to keep her eyes closed so she wouldn't have a panic attack being that close to a spider. I also felt actual fear when the carriage was attacked by dementors. I don't like being scared and threatened and I would never expose a child to any of these things. Are we just naive in thinking a ride could be fun even without scary special effects?! I also actually had my eyes closed almost throughout Transformers: The Ride because it was so violent and threatening. So, while Universal Studios itself has a lovely, family-friendly vibe, the rides are just a big no for me. Having said that, though, here are some pictures to prove that Universal Studios Hollywood can still be a happy place, too! The view down to the studio. But yes, the loveliest place at Universal was the Wizarding World of Harry Potter! I actually started crying there because it would be soooo cool if it was real! I'd love to live in Hogsmeade, have butter beer every day, go wand shopping, send owls...It was so nice to visit all the little shops and discover the quirky little (non-scary!!!) magical details! See for yourself! All in all, we had a really fun day! We just wish we'd known about the rides beforehand so that we could've skipped them and spent all that time doing something we actually enjoy = pretending we're witches and go to Hogwarts. What kind of experiences do you have of Universal Studios - Hollywood or elsewhere? And what is your Harry Potter house? I'm a Hufflepuff while Julcsi seems to be divergent, but mostly a combination of Slytherin, Gryffindor and Ravenclaw. The next post will be all about our bus trip to Vegas and our Grand Canyon tour, so stay tuned for that as well! 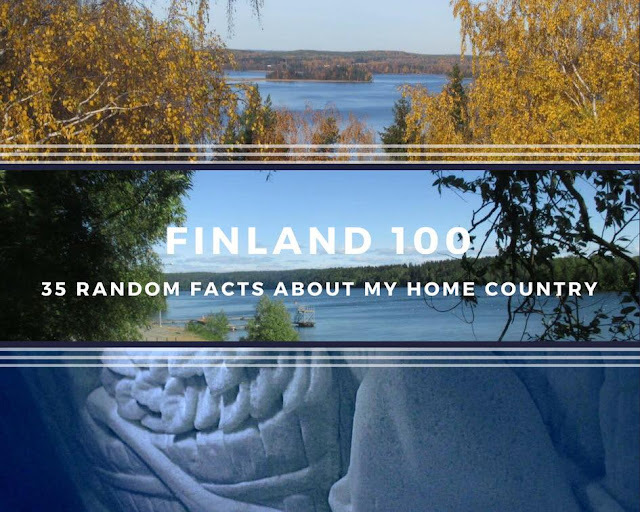 35 Random Facts about Finland - My Contribution to #suomi100! 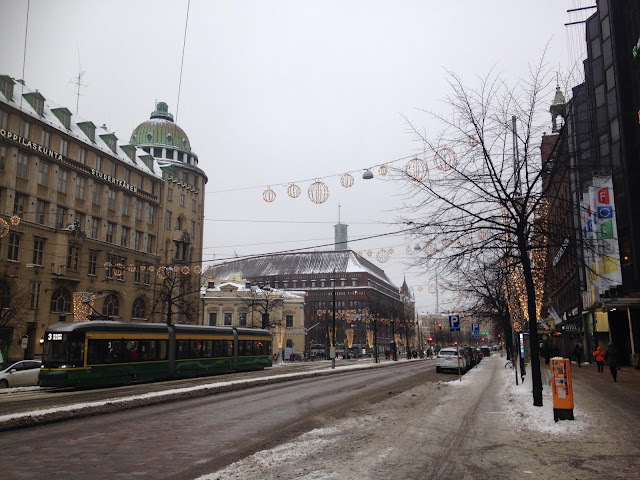 A Survival Guide to Finland - Tips for American Fulbrighters and Exchange Students! 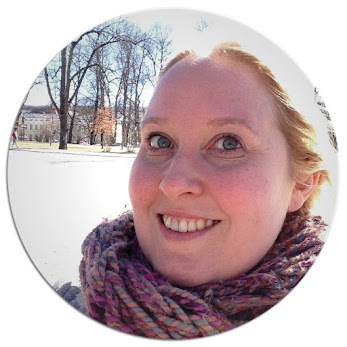 Emilia is a 30-something year old Finnish girl travelling here and there and everywhere with her Hungarian wife, Julcsi. Finland in the winter, Hungary in the summer - and somewhere on the road in between! Some of her favourite places are Northern Ireland, England, Sweden and Hawaii, and currently she's dreaming of travelling to Iceland, Japan and Portugal. Tune in for some adventures, lesbian travel stories and intercultural experiences!